The British Pound has continued its downside movement against the Australian Dollar. The currency pair has depreciated about 0.94% in value since last week's trading sessions. The exchange rate is currently testing a resistance level formed by the 50-hour simple moving average at 1.8331. If this resistance line holds, a decline towards a support cluster formed by the combination of the weekly and the monthly PPs at 1.8160 could be expected during the following trading session. However, if the currency exchange rate passes the 50-hour SMA, bulls could aim for the 200-hour moving average at 1.8513 within this week's trading sessions. The Pound Sterling has appreciated about 1.18% in value against the Canadian Dollar since last week's trading session. 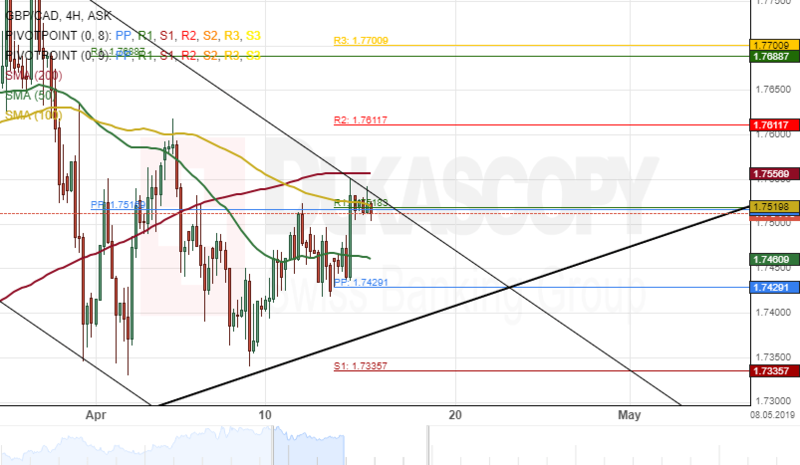 The currency pair tested the upper boundary of a descending channel pattern at 1.7547 during yesterday's session. The exchange rate was stranded between SMAs during the morning hours of Tuesday's trading session. The 200-hour simple moving average was providing resistance for the pair at 1.7556, while the 50-hour SMA was providing support at 1.7462. 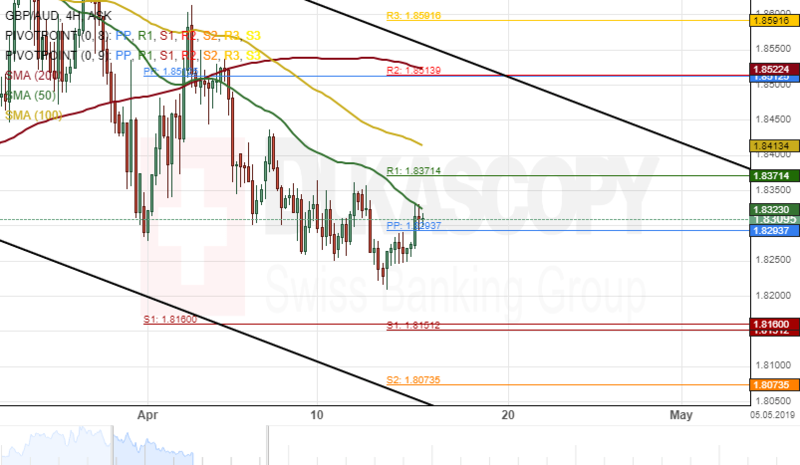 Everything being equal, it is likely that a breakout could occur through the upper boundary of the descending channel pattern during the following trading session. Meanwhile, technical indicators flash bullish signals on both the 4(H) and weekly time frames chart.